The Parel Vallei Advanced Education Trust was formally established in 2006 to support and provide advanced educational opportunities to pupils at Parel Vallei High School, as well as any deserving educational institution in the Helderberg Basin. The Trustees have a vision of enabling children to develop academically, beyond the confines of a National Curriculum. 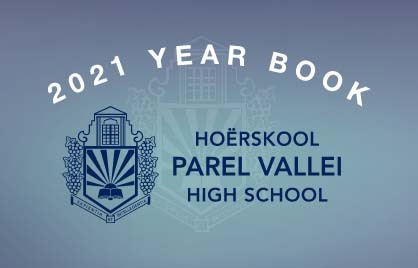 The Parel Vallei Advanced Education Centre is based at Parel Vallei High School. Cambridge International Examination courses, as well as IEB A-P Mathematics courses are offered. Since its inception, this Trust as grown slowly but steadily and has served Parel Vallei extremely well. Some of the projects and events which the Trust has undertaken are listed on this sheet. Since 2013, the Trust has been registered as a Public Benefit Organisation (PBO) and any donations which are made into this trust are claimable from tax. 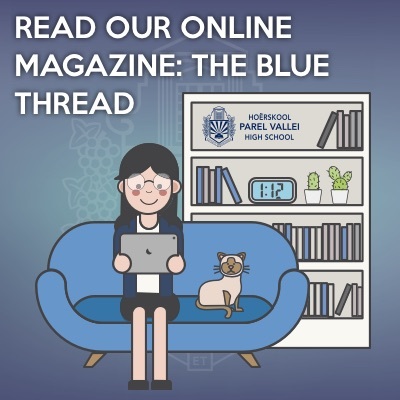 Readers are invited to support this trust and in this way, ensure that Parel Vallei High School will always be at the top (or near the top!) of the academic list. The AEC operates as a stand-alone provider of advanced education within Parel Vallei High School. It is backed by the Parel Vallei Advanced Education Trust but learners pay for tuition and text books. The Centre is an associate examination centre for Cambridge University (CIE) A and AS Levels, and is registered as such with the British Council. The Centre also offers AP Mathematics (IEB) as a supplement to the NCS Maths curriculum. This course contains two modules, which run from mid-year to mid-year. CIE exams are normally written in May. There are four examinations. This course contains two modules, running from mid-year to mid-year. Includes: forces and equilibrium; kinematics of motion in a straight line; Newton’s laws of motion; energy, work and power. Includes: algebra, logarithmic and exponential functions, trigonometry, differentiation, integration, solutions and equations, vectors, differential equations, complex numbers. Includes: motion of a projectile; equilibrium of a rigid body; uniform motion in a circle; elastic strings and springs; linear motion under a variable force. This course contains two modules, each of which run from mid-year to mid-year. Cambridge external examinations are normally written in May to June of each year. There are five examinations that must be written to complete the full course. biological molecules, and the structure and function of enzymes; cell structure and function; cell membranes and membrane transport; mitotic cell cycle; cloning and cancer; DNA structure and protein synthesis; transport in plants and mammals; gas exchange; infectious diseases; immunity. This module includes several guided laboratory sessions where candidates will perform experiments and conduct individual practical work. energy and respiration; photosynthesis; homeostasis including urine analysis; coordination and generation of action potentials; hormonal control in plants and humans; inherited change, multiple alleles, loci interaction, and gene control; selection and evolution, and molecular comparisons; biodiversity, classification and conservation, which includes working with Simpson’s Index, systematic sampling and correlation testing; finally the course investigates genetic technology and its uses in agriculture and medicine. To address Paper 5, the course includes several relevant experiments which are planned, designed and conducted entirely by the candidate. kinematics; accelerated motion; dynamics, including Newton’s Laws; forces and torque; work, energy and power; momentum; mater and materials, working with Young modulus; electric fields; current and charge; E.M.F. and potential difference; resistance and resistivity; DC circuits and Kirchhoff’s laws; practical circuits; waves, wave energy, Doppler effect and orders of magnitude; superposition of waves; stationary waves; nuclear physics and radioactivity, discovering neutrinos, antimatter, and investigating fundamental particles, families and forces. This module is an extension of the topics covered in the first module and they should not be viewed as exclusive of each other. circular motion; gravitational fields and the development of gravitational theory; oscillations including simple harmonic motion; communications systems; thermal physics, thermodynamics and ideal gasses; investigation and working with Coulomb’s law; capacitance; electronics and op-amps; magnetic fields and electromagnetism; charged particles and the Hall effect; electromagnetic induction; alternating currents; quantum physics; nuclear physics and mathematics of radioactive decay; medical imaging including computer axial tomography, echo sounding and magnetic resonance imaging. AP Maths was introduced by the AEC in 2011. Its purpose is to supplement the NCS and to give matric candidates a better chance of success in the fields of Maths and Statistics at university. The AP Mathematics curriculum, which focuses on problem-solving skills, has been developed by the IEB and is accredited by Umalusi. The AP National Examination is written at the end of Grade 12. Successful candidates will receive IEB Certification.